Queen B may be expecting another child. Beyonce has sparked rumours that she is expecting a second child with Jay Z, after she was spotted wearing a large overcoat – potentially covering an even larger baby bump. Rumours first started of a potential pregnancy after she performed at Global Citizens Festival in October and fans spotted a growing baby bump. 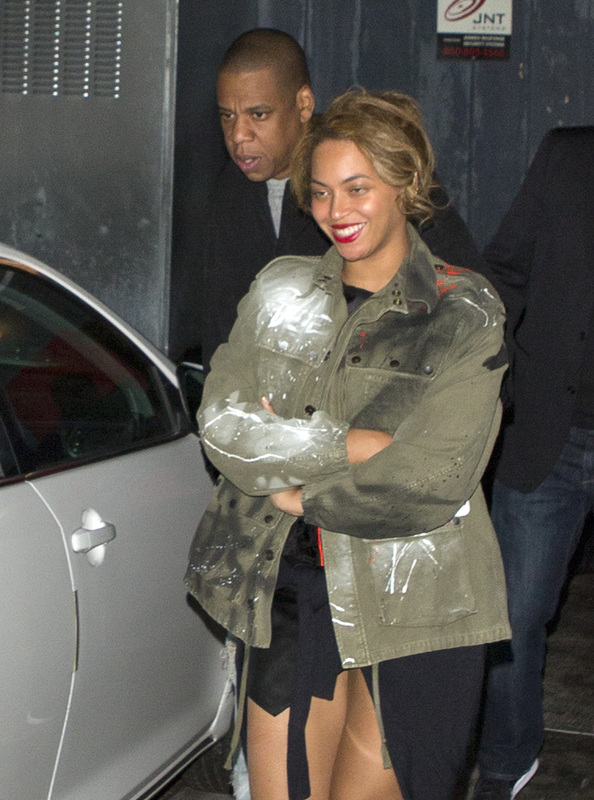 However Queen Bey has now been spotted leaving an LA restaurant with Jay Z tightly covering her stomach region. The ‘Drunk In Love’ singer was also spotted on a recent family vacation in Europe seemingly covering herself up. Speculation has now hit an all-time high with many media outlets also claiming that the singer is pregnant. If the rumours are true, their daughter Blue Ivy, 4, may be expecting a sibling. Beyonce and Jay Z are yet to comment on the rumours. Meanwhile, Beyonce recently surprised fans by invading Channing Tatum’s recent Lip Sync Battle performance. The singer appeared on stage while he was performing his rendition of Beyonce’s ‘Run The World (Girls)’ and threw down some signature dance moves.